John Rogers gives a 60 year lease on a plot of land at Crowlas, Ludgvan, Cornwall to William George at a rent of 15 shillings per annum. 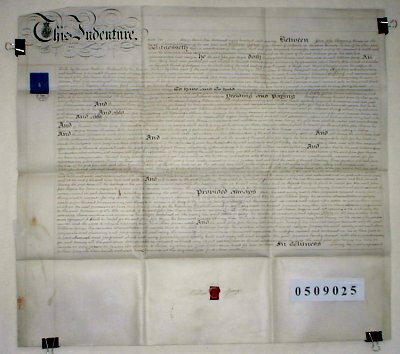 There are various covenants attached to the lease of which one is that William George will build a good and substantial dwelling house within 1 year. The materials to be used are specified in considerable detail. A more unusual covenant is that William George "will attend all the courts of the said John Jope Rogers for his Western Lands in Ludgvan" ... "and faithfully discharge the office of Reeve and all other reasonable offices as often as thereunto appointed".